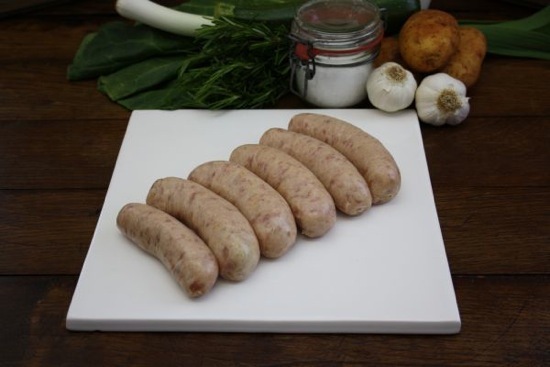 Reading the Rate My Sausage website (I am a big fan) reminded me that despite sampling some awesome Keevil and Keevil sausages a while ago I haven’t got round to writing something about them. Keevil and Keevil can trace their roots back as far as 1794 and are, as you can imagine, the longest established butchers in Smithfield. Before moving to Smithfield they were based in Newgate Market which was then London’s principle meat market (I wrote a little about it in this post). 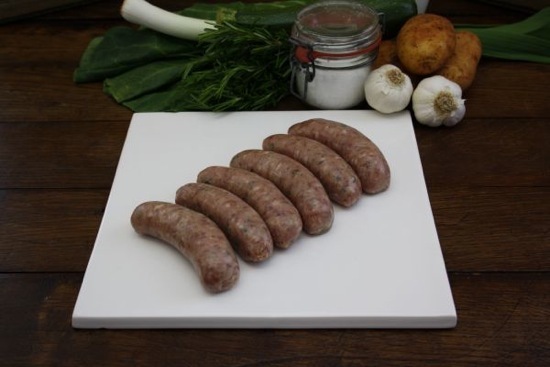 Their gourmet sausages have a higher meat content than most, and are traditionally hand-made using the finest ingredients and natural skins. I couldn’t wait to tuck in! I don’t think I write enough about chicken sausages so I jumped right in with the chicken and tarragon sausages. Suddenly I was transported to some beautiful, exotic, almost chinese, sausage experience. These were awesome. In my chomping haste I neglected to get a photograph. I did manage to get out a tweet proclaiming that these could easily make my top twenty and so they could. Really great flavour combination, really well executed. And now I’ve just noticed they have a chicken and apricot version listed on their website! Next up the Scrumpy Jack porkers got my attention. 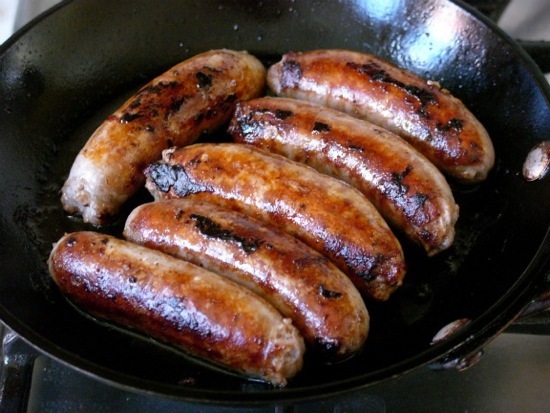 So often pork and cider sausages fail so miserably. It’s all about balance. I don’t want to bite into a sausage and get a mouthful of cider but at the same time I want to feel it’s presence! These guys have it. Bold, strong, meaty flavour with a tangy scrumpy edge throughout. Enough of this flashy stuff. Straight to the heart of the sausage maker, plain pork up next. Plain pork? I prefer original because there was nothing plain about these beasts! I always think you can tell so much about a sausage maker from their original (plain?) pork sausages. These, like the others before them were perfectly balanced. A strong hint of pepper and great bite to flavoursome pork. What’s not to like? So, back to Rate My Sausage and they reviewed the pork, honey and mustard sausage. Like them, I really enjoyed this one too. Beautiful balance, good mix of sweet with the savoury ingredients, warmth from the mustard, hint of cayenne (I think) with a great even texture. 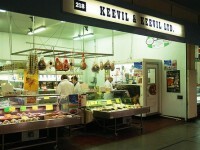 So Keevil & Keevil, one of the longest established butchers in the World produces great sausages. I bet you didn’t see that one coming! Who knew that nearly 400 years of practice would create such brilliance? They go beyond great and well into the awesome zone! They’ve had some time practicing and you can taste this in every mouth-watering bite. I can’t wait to try some more of their flavours. 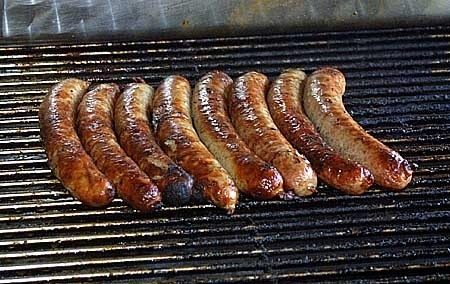 Their extensive website also features delights such as authentic Bratwurst. Keevil and Keevil also specialise in speciality meats and I couldn’t help but have a browse of this section of their website too. 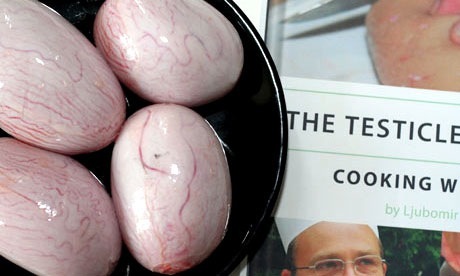 Wild Boar Haunch, Frogs’ Legs, Crocodile Fillets and, the classic, Lambs Testicles. These are definitely something I want to try. We do the animal a disservice if we don’t use as much of it as possible. Is this an ace from Waitrose?